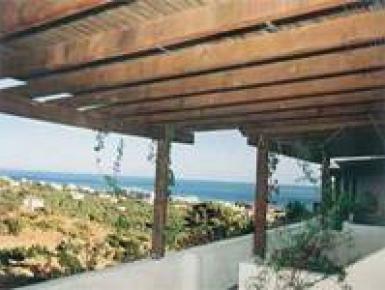 A group of ten fully furnished apartments built on a hillside with panoramic views over the Lybian Sea and over picturesque Cretan mountains. Located 150 meters above sea level and only a 1km away from clean sandy beaches and crystal clear seawater. This unique location enables guests to enjoy a carefree and relaxing holiday. The temperatures are high and the area has the longest sunshine in Europe, in summer and in winter.